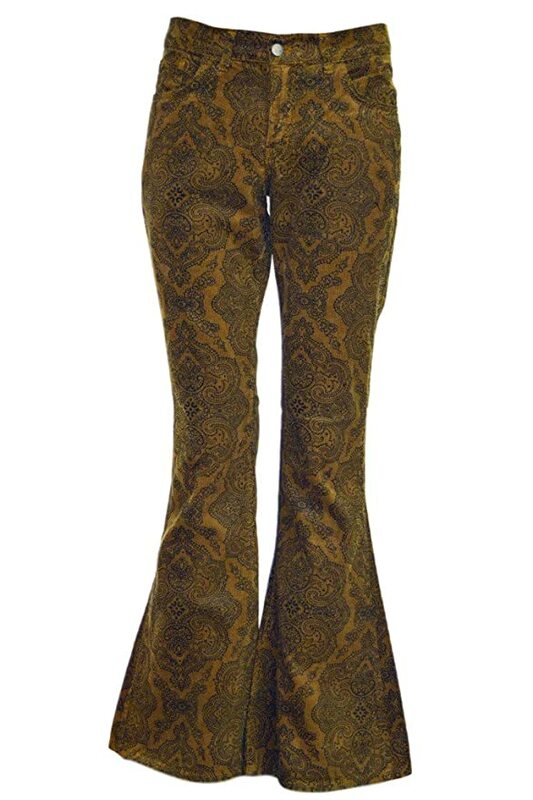 Men’s bell bottom jeans and men’s flared jeans of the late 1960s may be the most iconic of each decade but they were not the only style. 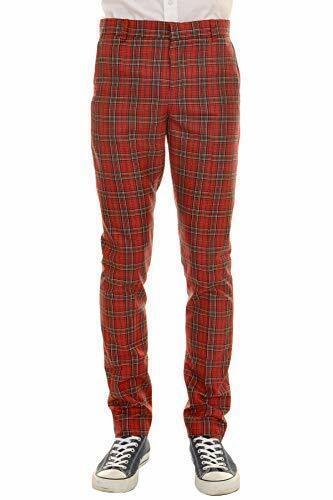 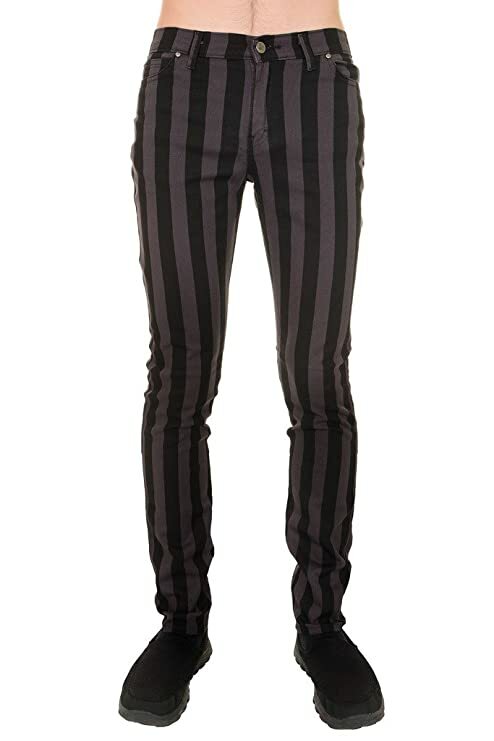 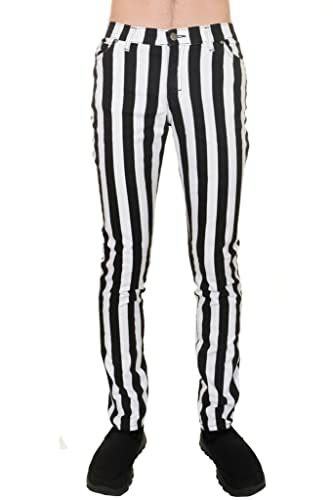 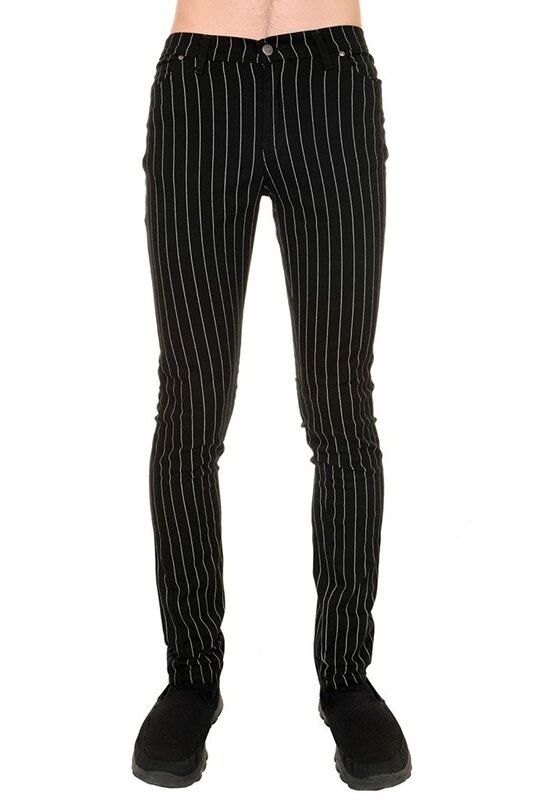 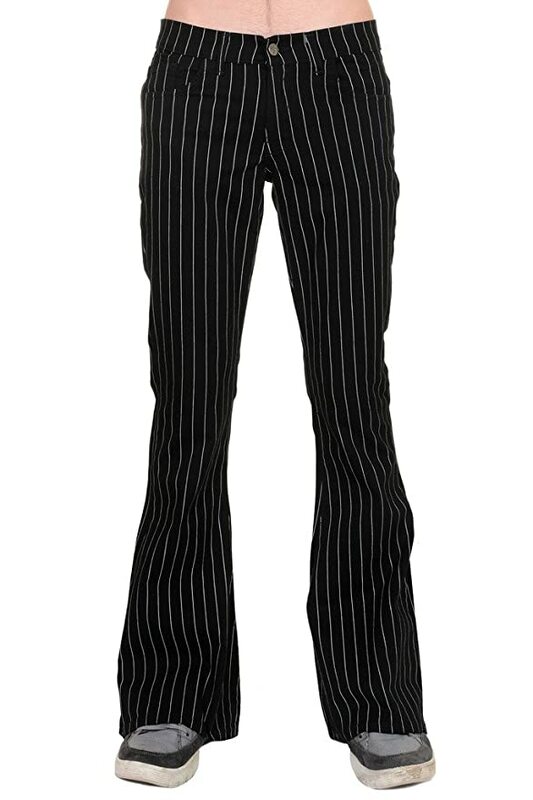 The mid 60s mods chose skinny slacks with loud plaid, check or stripe prints or all black for a beatnik style. 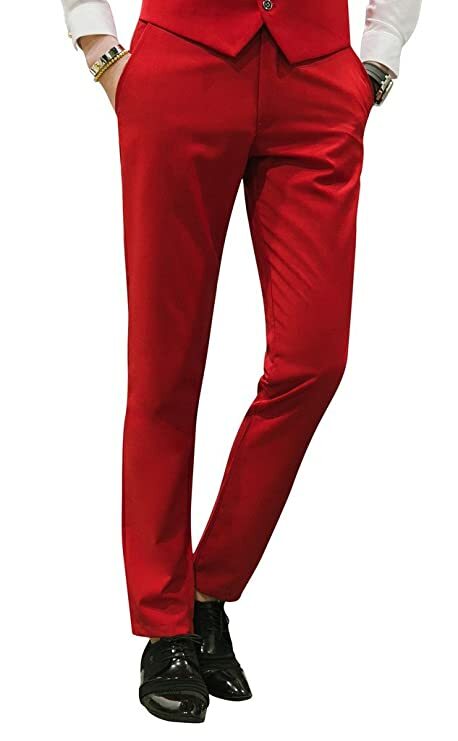 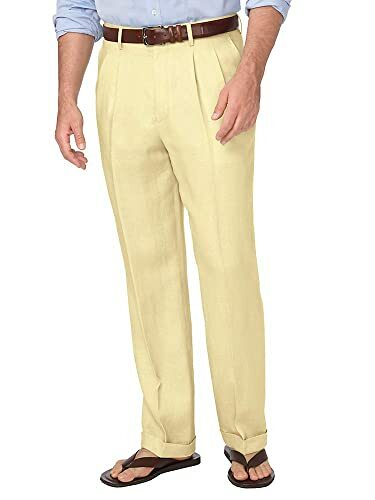 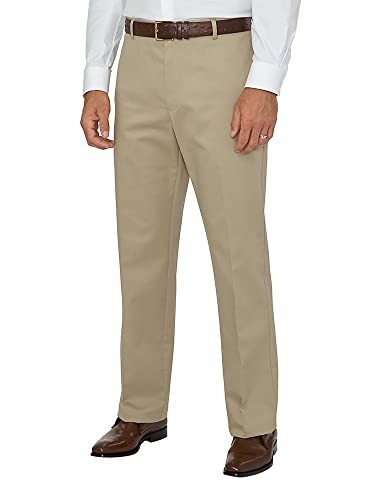 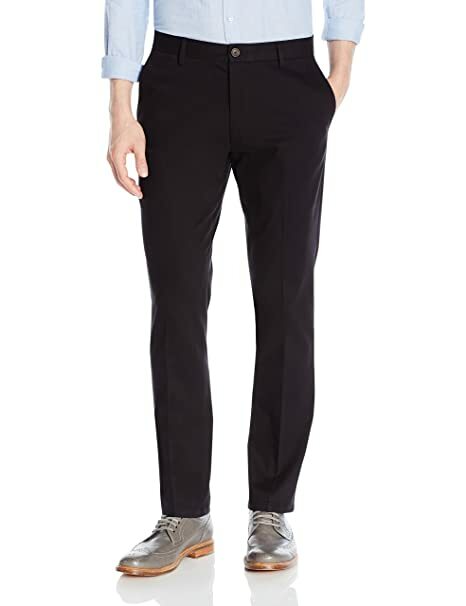 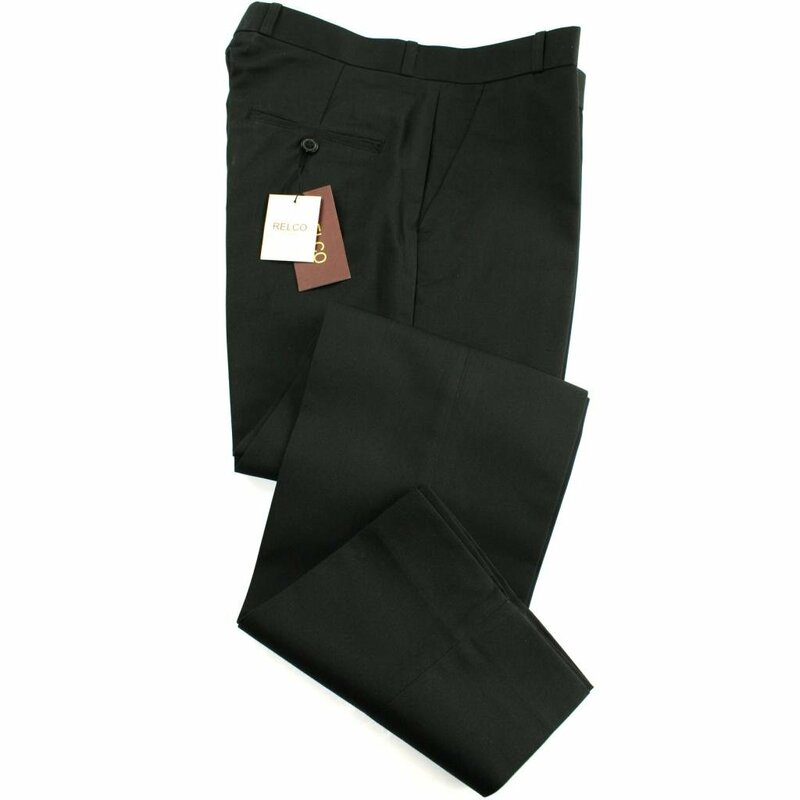 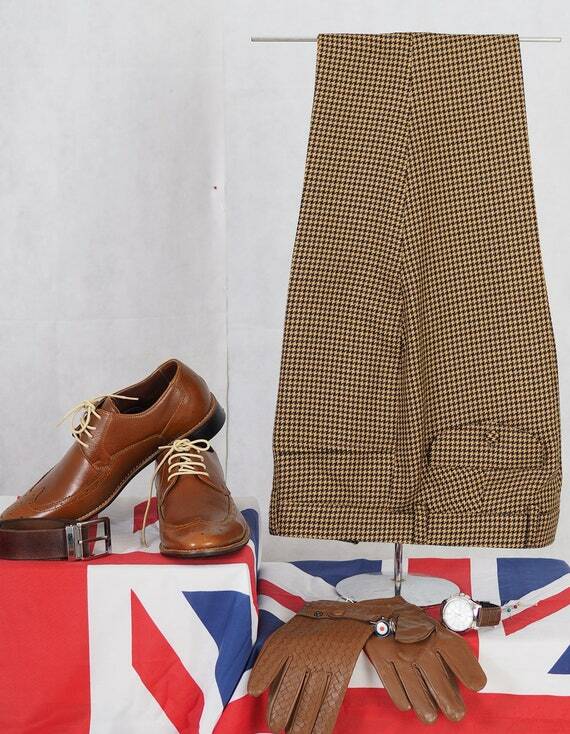 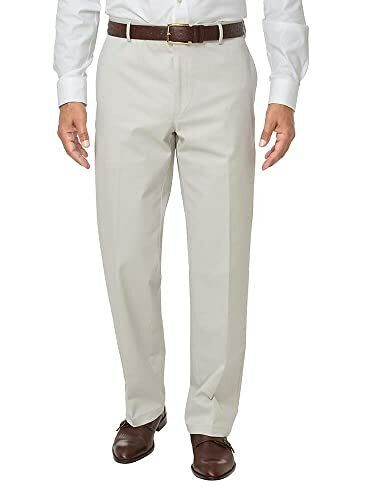 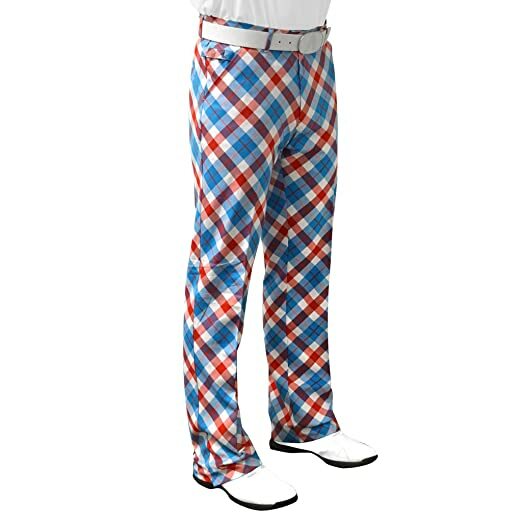 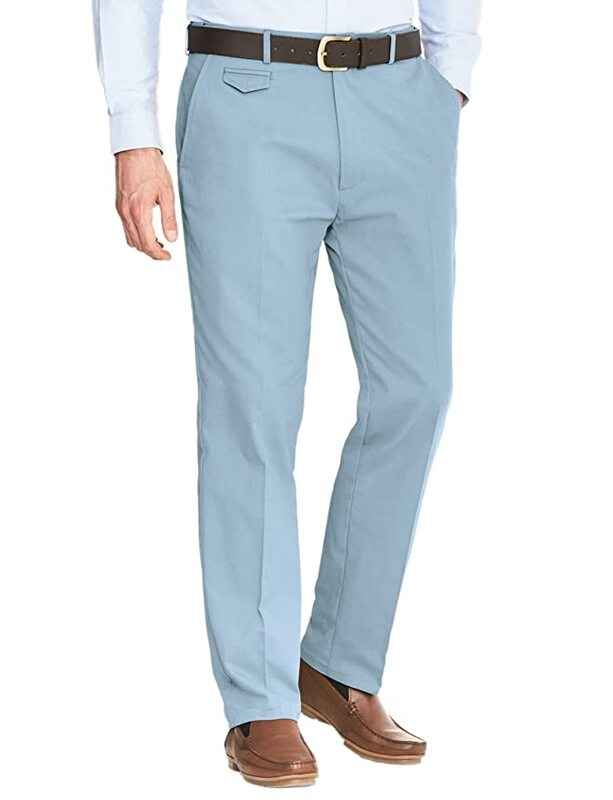 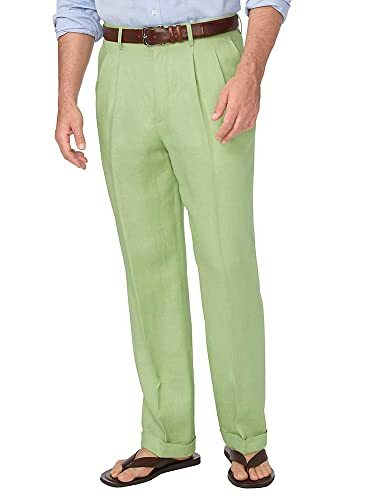 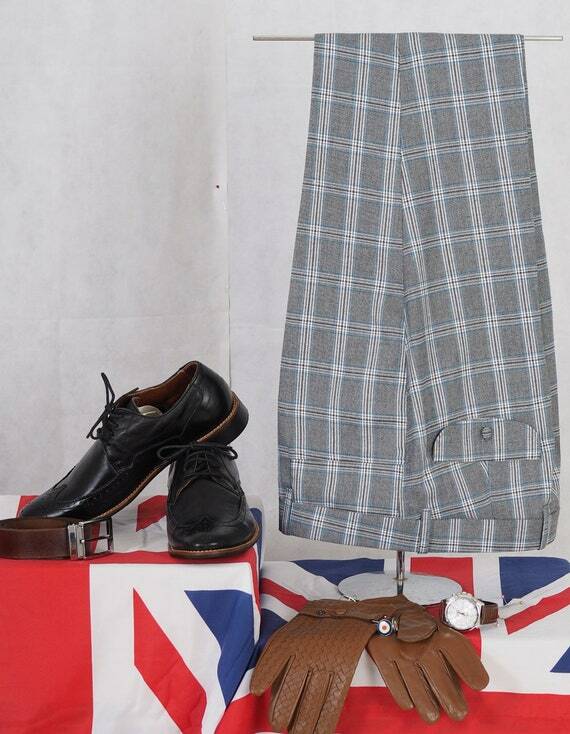 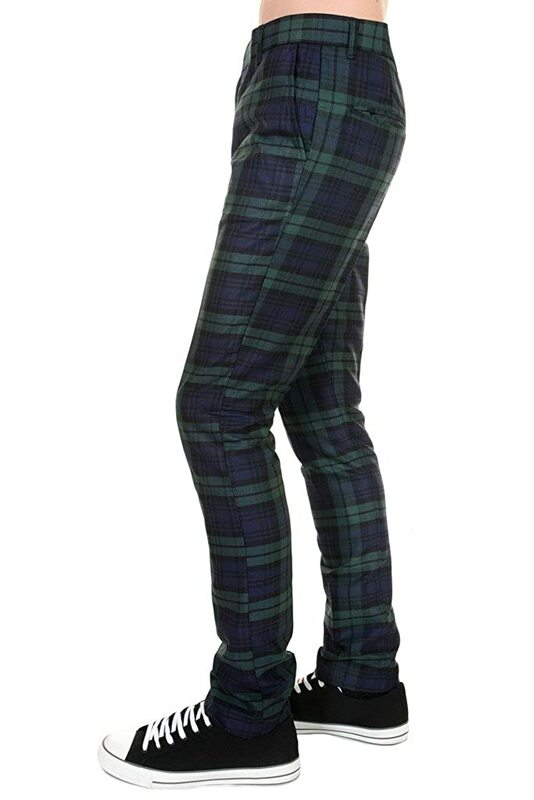 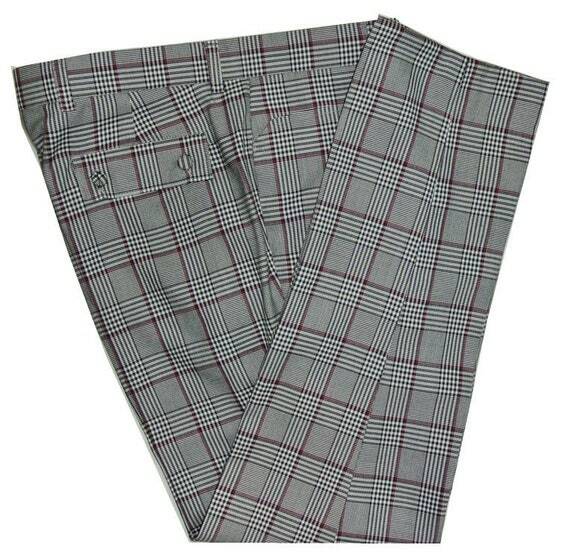 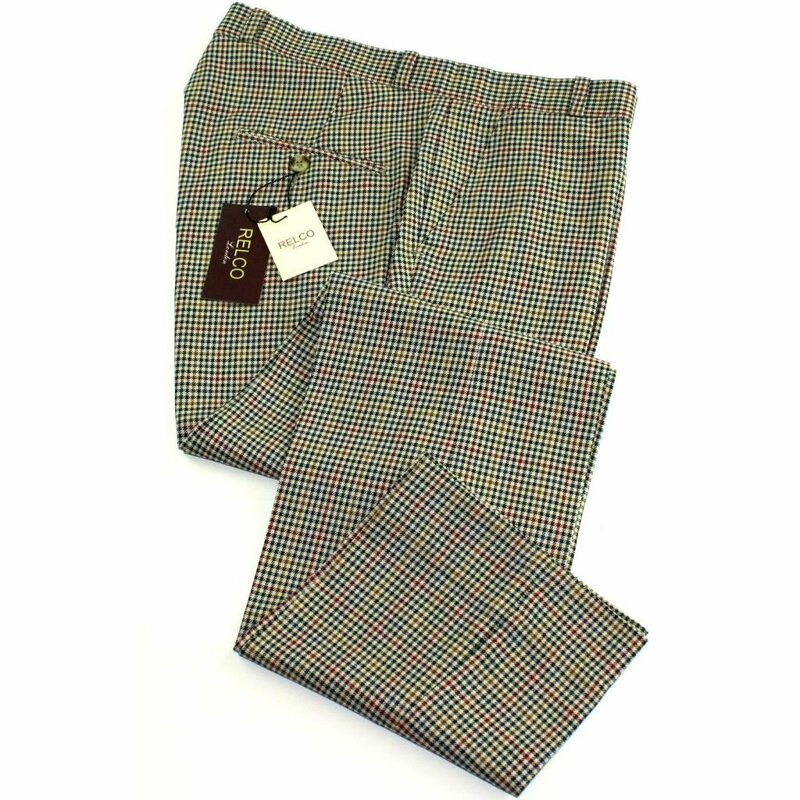 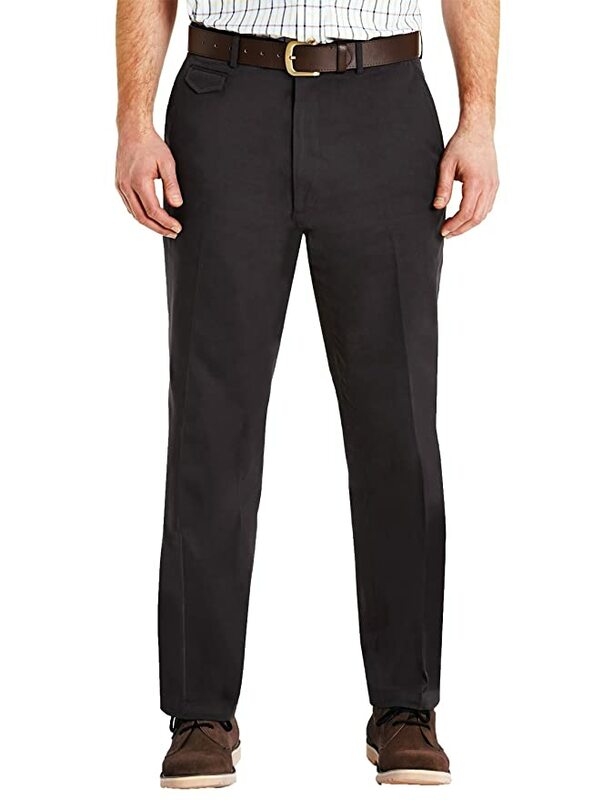 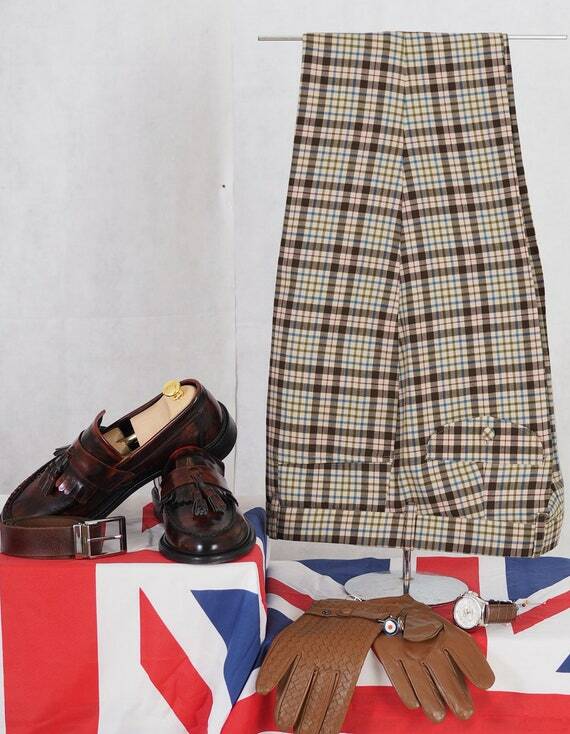 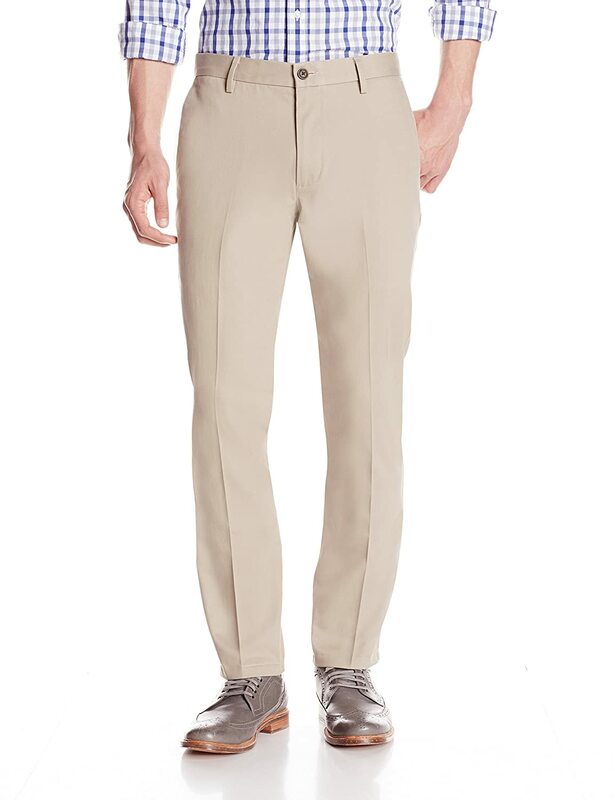 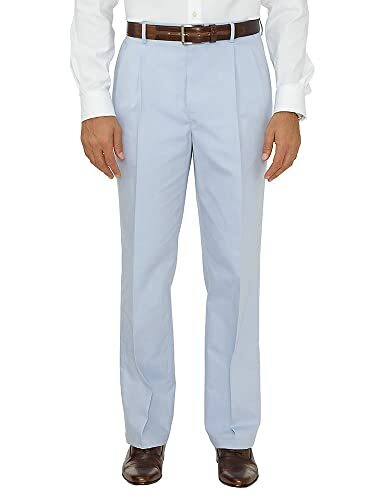 Classic men chose low waist flat front dress trousers with a plain belt in soft pastel, chino, or earth tone colors. 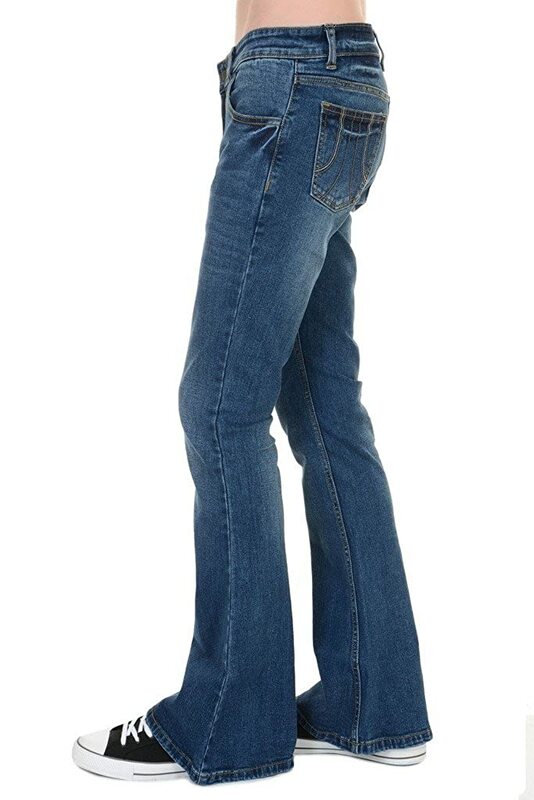 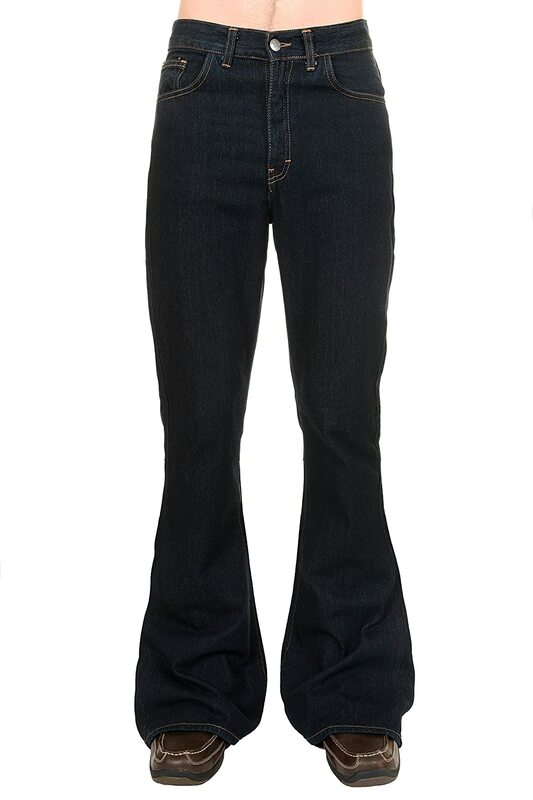 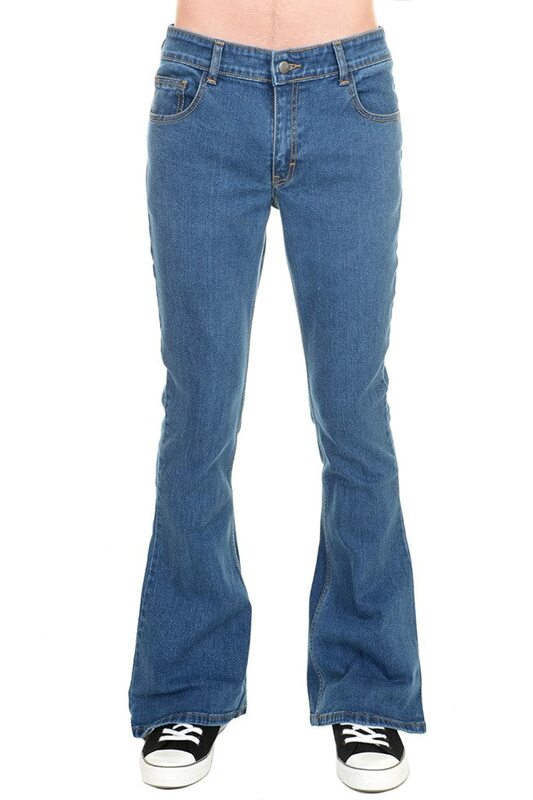 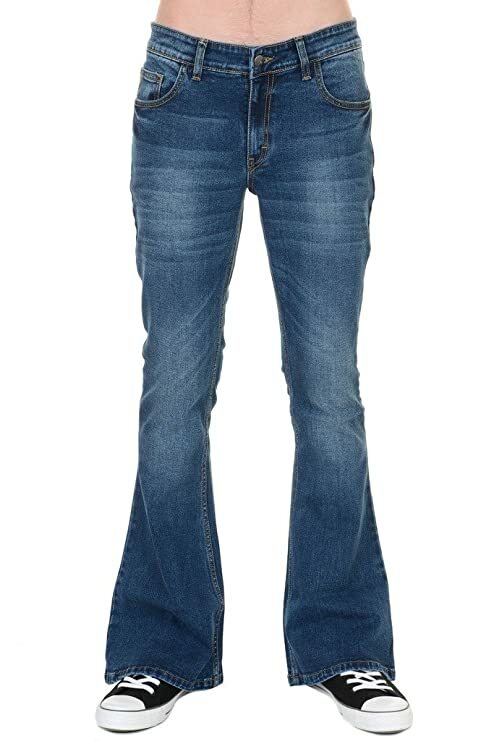 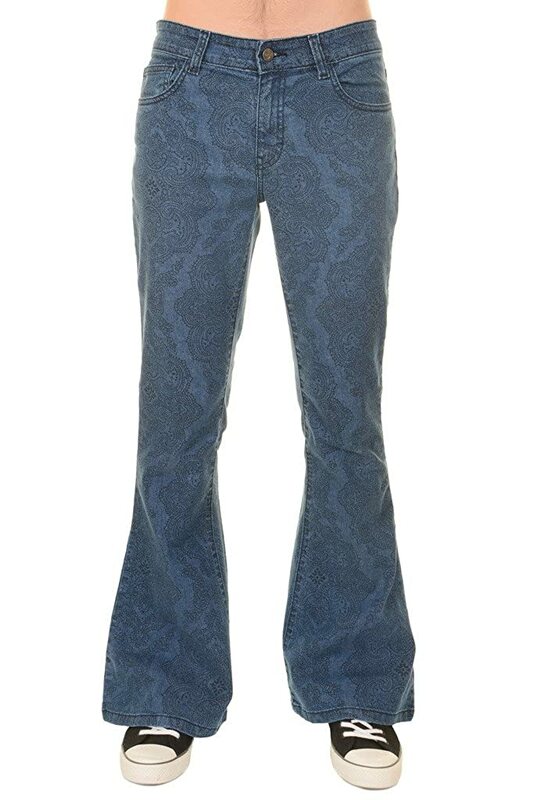 Denim jeans followed both the slim leg, flare and wide bell bottom moving into the hippie 70s. 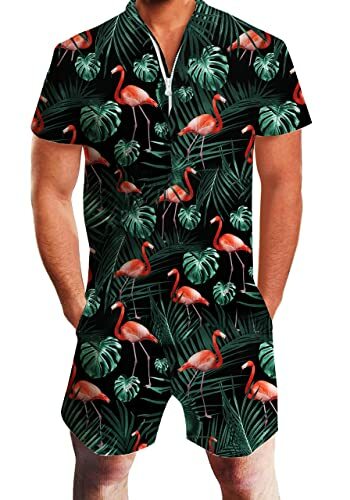 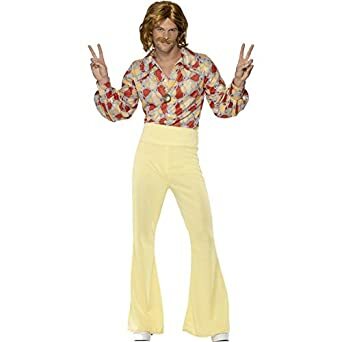 Men’s 60s jeans waistbands were low while 70s waistbands were high. 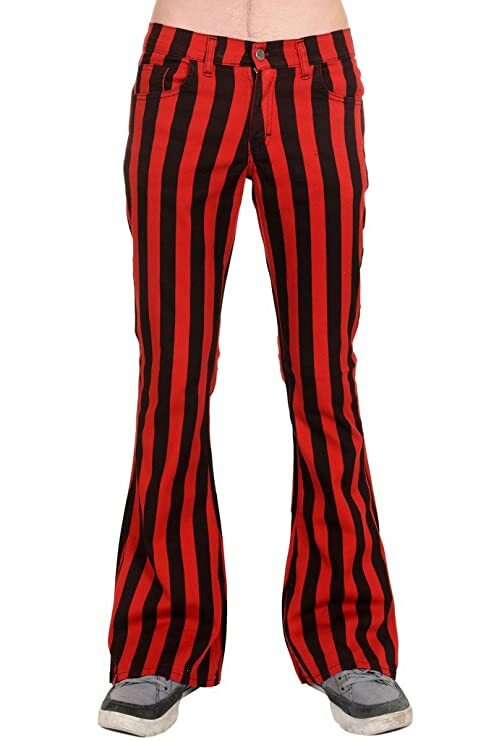 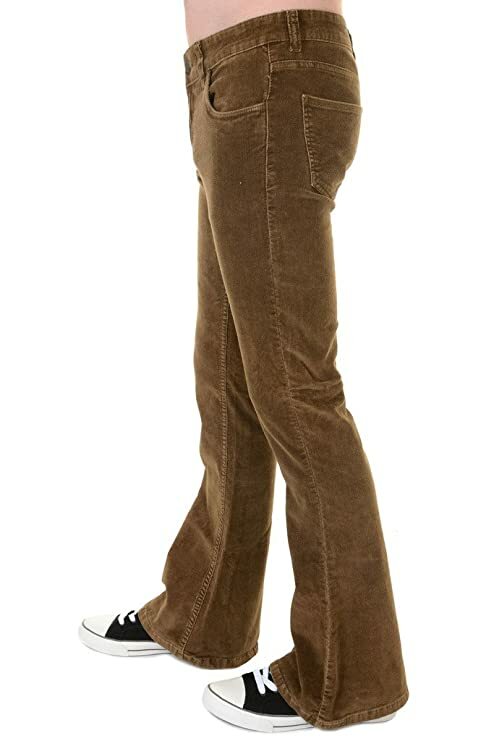 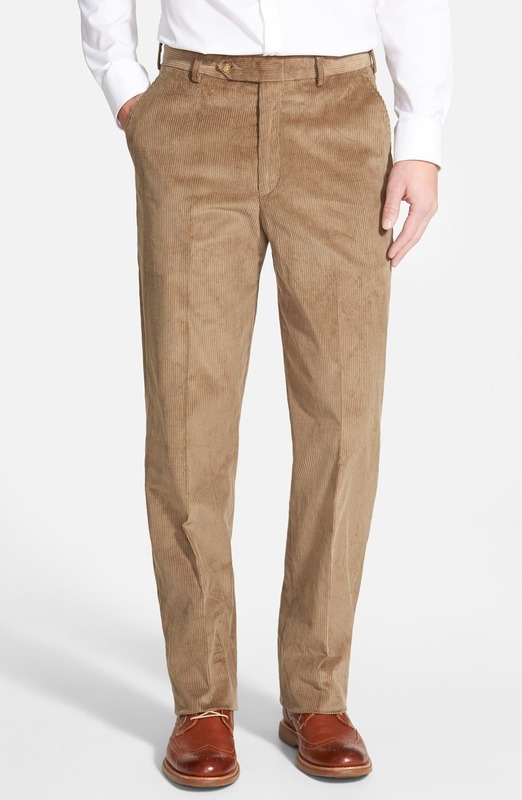 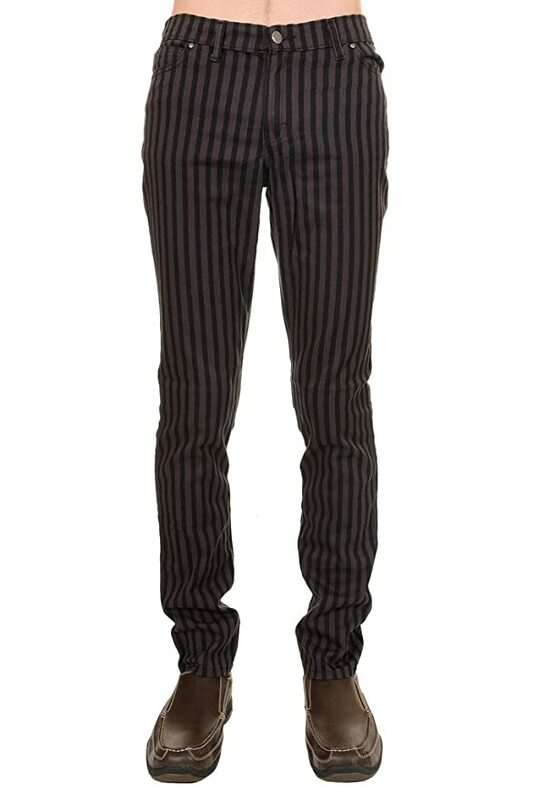 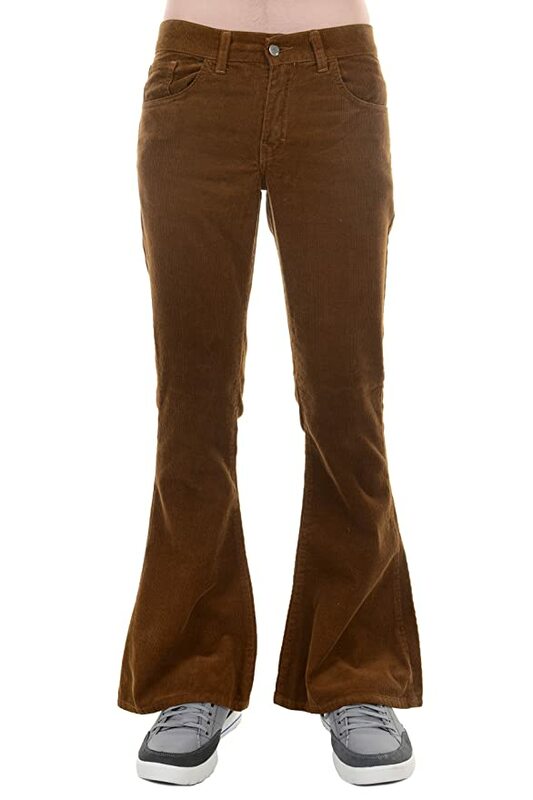 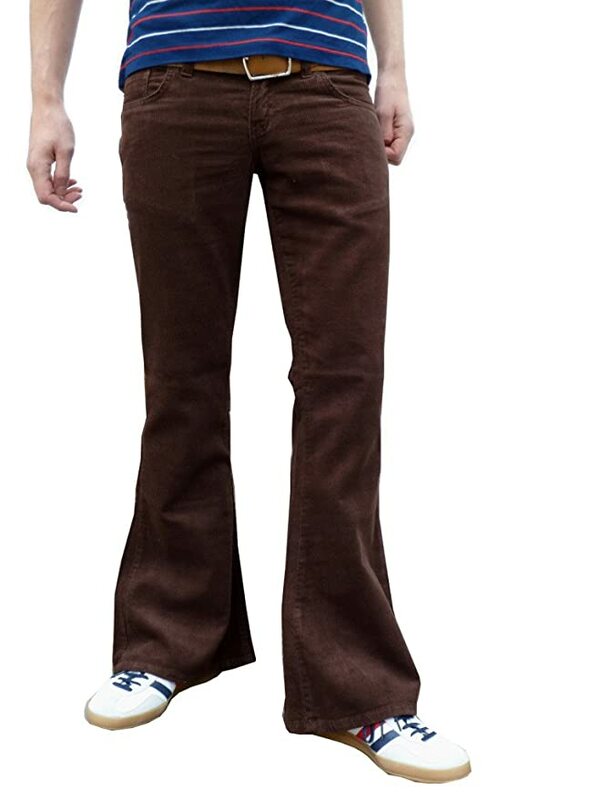 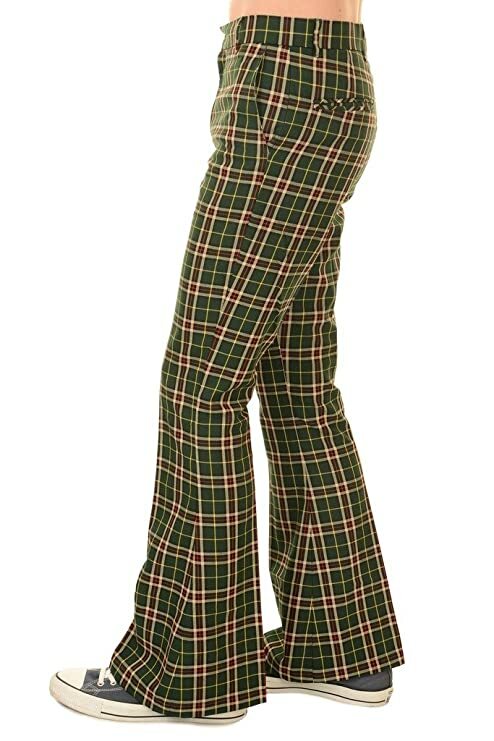 Corduroy bell bottom pants were especially popular in the 1970s. 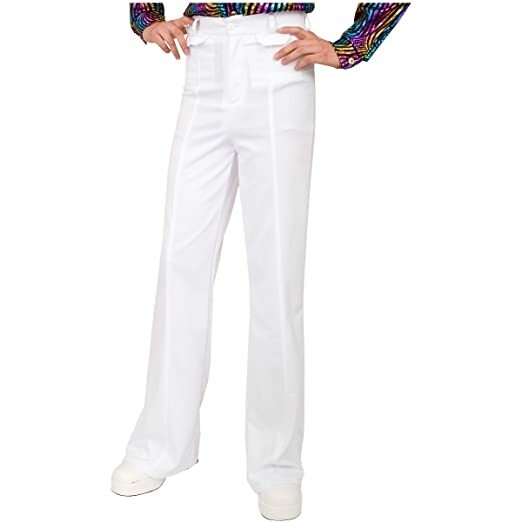 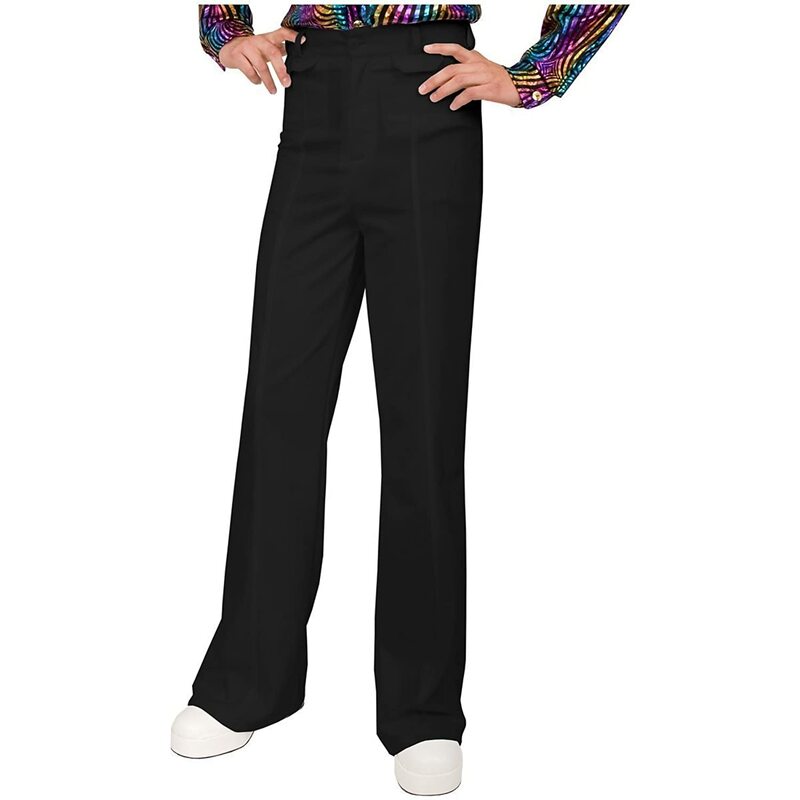 On the disco dance floor, it was polyester that was the most flexible bell bottom trouser material. 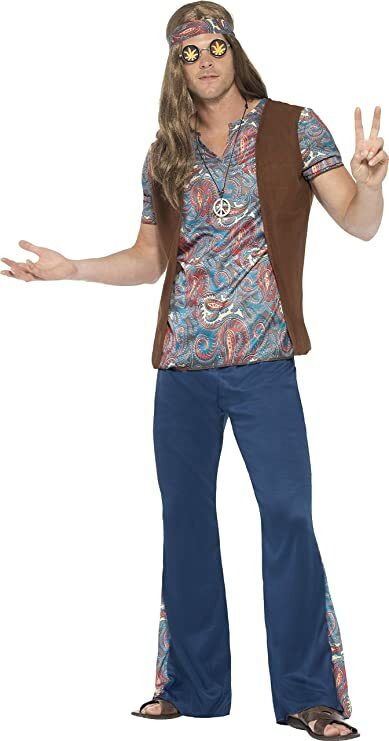 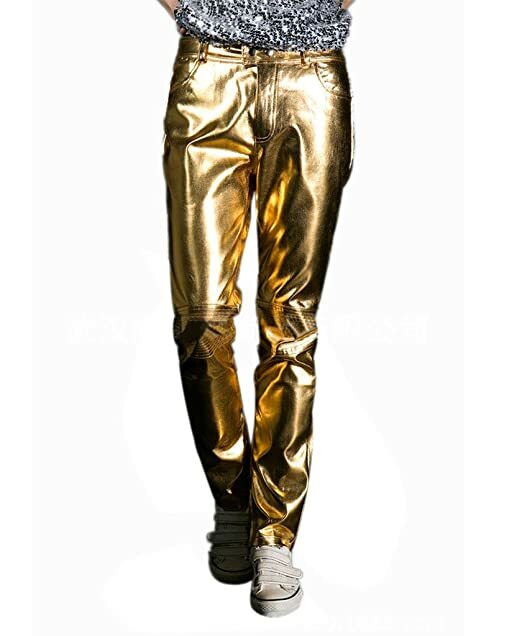 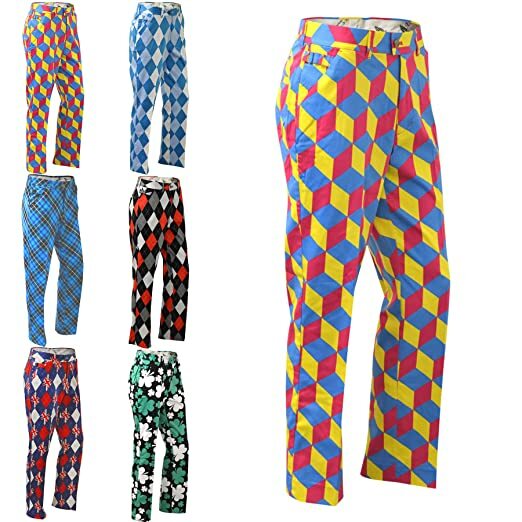 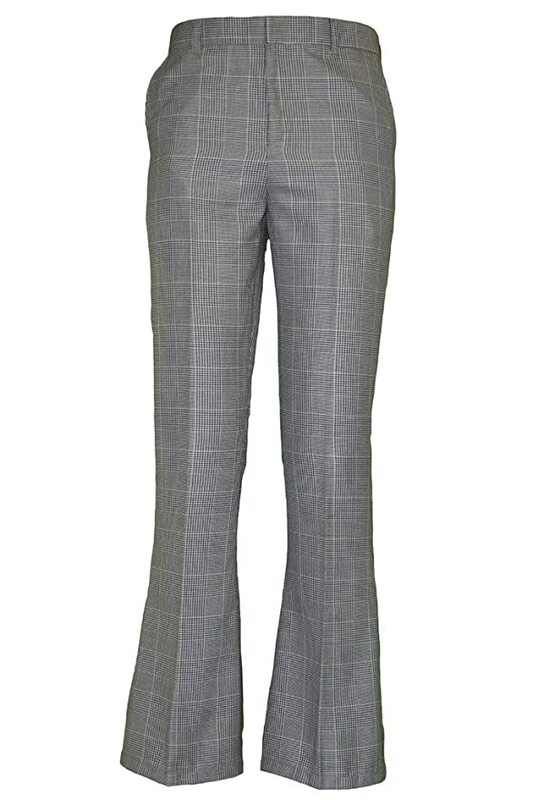 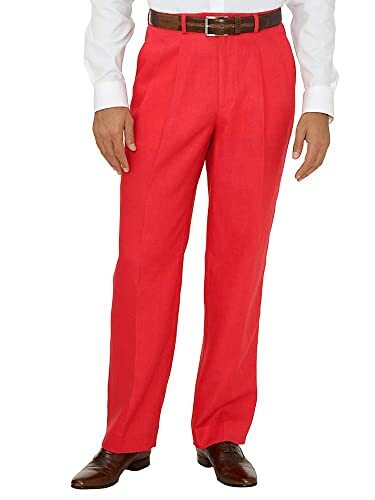 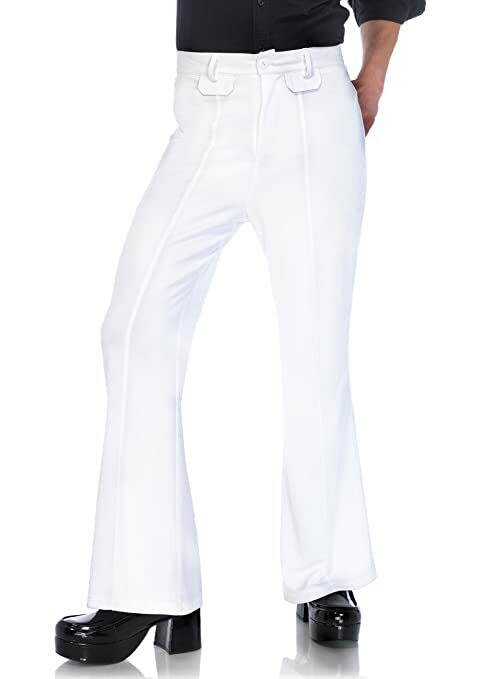 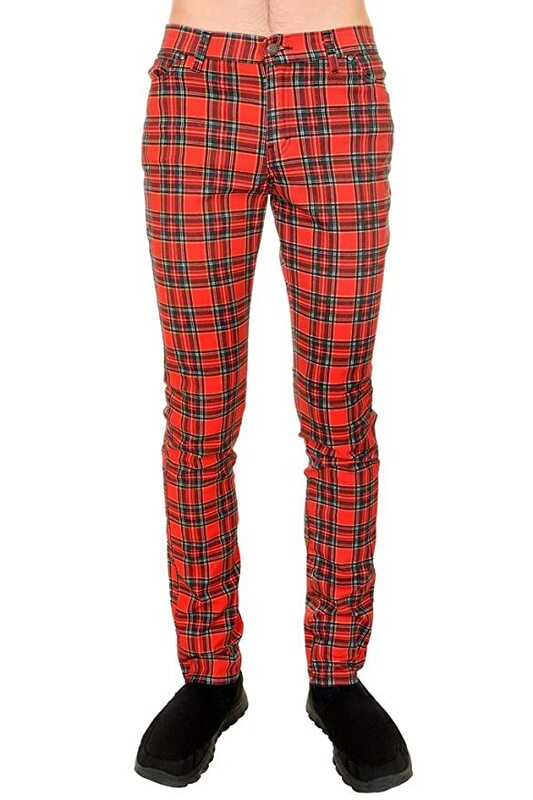 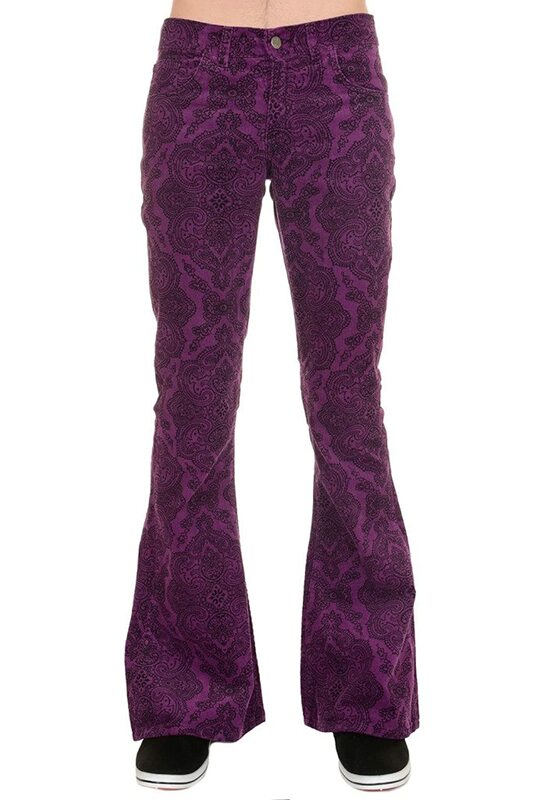 Compare and shop these 60s and 70s men’s bell bottom jeans, pants and trousers for the mod to hippie to disco fashion style.